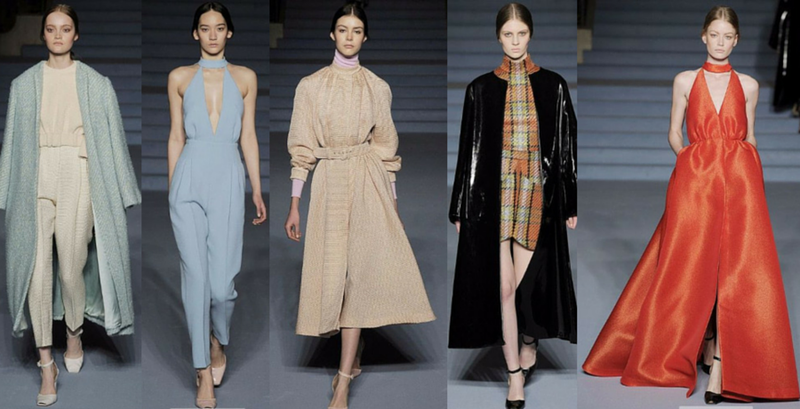 Emilia Wickstead is fast becoming a force to be reckoned with at Fashion Week. Setting the new standard for minimal chic, the collection featured fluid shapes in pastel peach, lilac and creame in sumptuous, rich fabrics. These soft looks made way for more punchy pieces in metallic tartan which were a little jarring but the collection ended on a high with a dramatic bold red gown. With the likes of Charlotte Dellal, Amber Le Bon and Alexa Chung sat on the front row of her autumn/winter 2015 collection, it’s only a matter of time before the stunning collection is seen on the red carpet.